Having established safe, warm, secure homes and encouraging employment schemes the three villages have all been keen to better the education of their children. 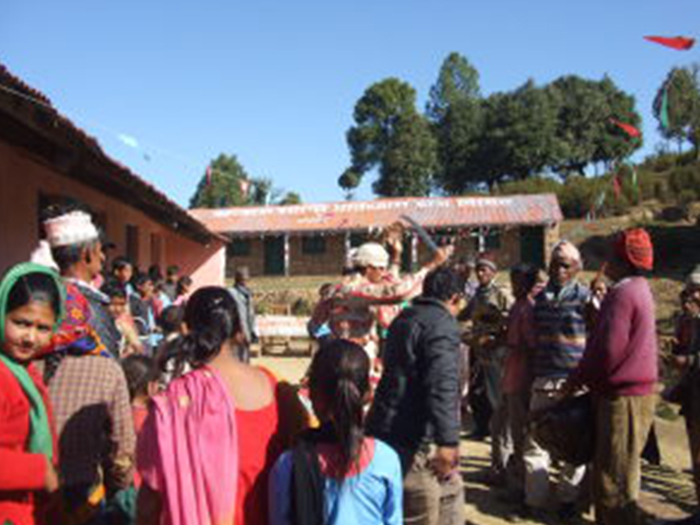 At Thamu Chamodia, BPF was asked to provide a building with three new classrooms for the existing school in the village. This school has been handed over to the community. At the second village BPF paid the salary for an extra science teacher for the first year. Unfortunately the government has not taken over paying this teacher and so BPF are considering whether they have funds to continue paying the salary. At the third village, on a recent visit, BPF are once again being asked to fund additional rooms so that the number of classes can be extended.